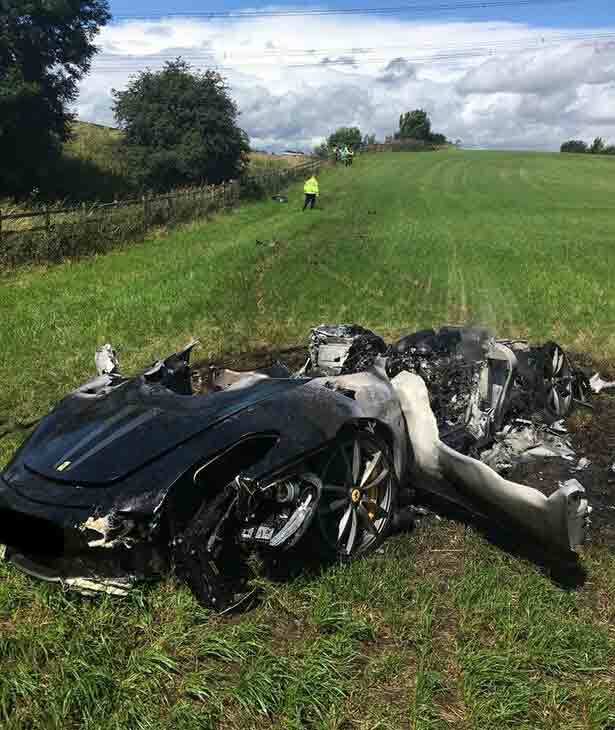 A Ferrari driver managed to wreck his £200,000 supercar just ONE HOUR after driving from out the show room. 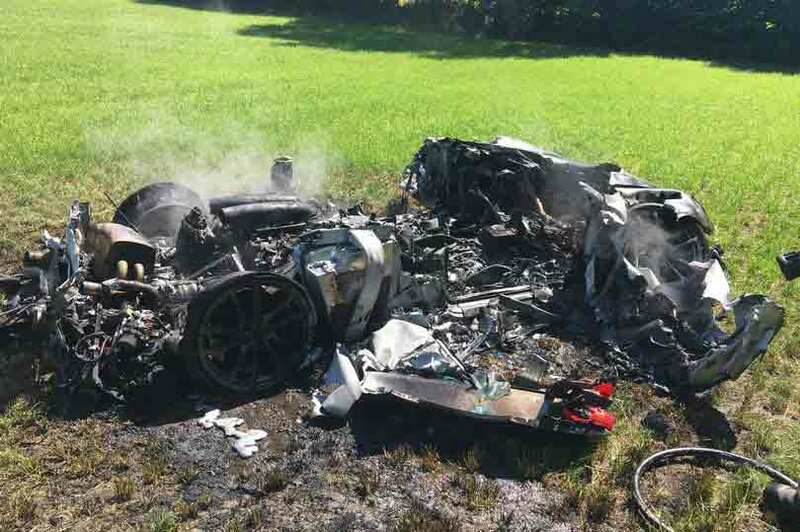 The high-performance Ferrari 430 Scuderia was reduced to a twisted wreck after it careered off a motorway and burst into flames in a field. But luckily the new owner had a miracle escape from the terrifying smash - walking away with only cuts and bruises. The car ended up a twisted mess in a field after flying off the M1 through South Yorkshire and hurtling down 50 metres down a bank and ended up in a field. It then caught fire and had to be extinguished by firefighters followin the expensive pran on Thursday afternoon. South Yorkshire Police said on Twitter the driver lost control before the car "went airborne and burst into flames" in the wet conditions, but walked away with just cuts and bruises. In a statement on Facebook police added: "Officers asked the driver what sort of car he 'had' to which he replied 'It was a Ferrari'. They added: "Over the past couple of weeks there has been a number of collisions where driving styles have not reflected the road and weather conditions. Earlier this month a 'stunned' lorry driver caught the 'world's most expensive traffic jam' on camera - as 36 Ferraris queued at a set of lights. HGV driver, Doug DeQuincey, was queuing at traffic lights when he was joined by a fleet of the Italian supercars. Doug had pulled over to make a call at a layby on the A44 Woodstock Road in Yarnton, near Oxford, and couldn't help but capture the moment on his phone. With each car worth at least £200k, the 43-year-old from Milton Keynes filmed the queue of high-performance cars - worth more than £7.2 million in total. Doug filmed the footage on Tuesday as the fleet returned from a UK tour marking the 70th Anniversary of Ferrari.